Anyone else love this song from Bye Bye Birdie?! 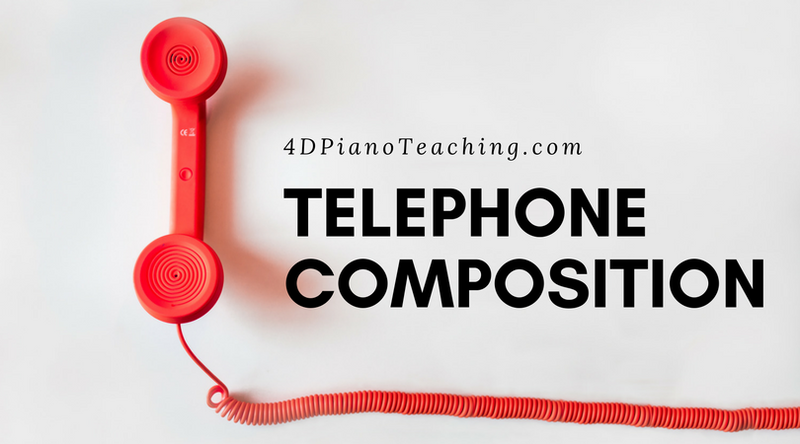 Today we’re sharing a Telephone Composition activity and this song just keeps popping in my head! This composition activity really gets those brain cells going. Sometimes, students have an easy time creating new ideas they want to use in their pieces. But other times, a little spark or challenge helps. This activity is for late elementary level and up. 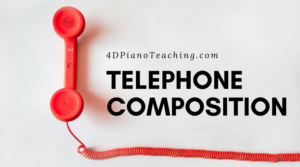 It’s a fun activity to add in when working on learning scales in various keys so you can help push students to compose in other keys (besides the easier white keys like C and G Major or A minor…). Plus it really gives students a fun introduction to the sound of some contemporary music! You’ll see instructions on the sheet but here’s a demonstration too. First have the student write a telephone number down. They can use their own number or make one up! Feel free to add the area code if you’d like – I used this with late elementary students and wanted a shorter exercise this time. (Example: 765-4321). Now help students figure out which scale degree corresponds to (1 through 8, then for 9 use the 2nd tone again like a 9th). Try writing out the notes on the staff provided. Then get creative with rhythm and octaves played in. Do they want to keep the melody in the RH? Or have both hands share the notes? Or have LH figure out an accompaniment that works for these tones? There’s so much they can do from this point! Encourage students to try new time signatures and create something totally different from their usual composing/improvising. On a side topic: Improvisation versus Composition – which do you like to do more with your students? Or for yourself? I love both types of music creation but often I don’t find the time to really notate and compose something to save. Recording on my Clavinova or just audio recording on my phone allows me to save those gold nuggets of music I create while improvising. Then when I’m ready to really compose something, I love to go back through those recordings to find just what I want to work on. We’re exploring these areas a lot in my group classes this year – can’t wait to keep sharing what we are up to! Enjoy!